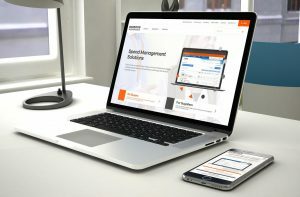 MediaCityUK-based Upp B2B has completed a rebrand for spend management solutions provider, Science Warehouse. Initially brought in as brand consultants, the Upp B2B team used its Brand Blueprint framework and primary research-based insight to create a new proposition and direction for the Leeds-based brand. The project culminated with the launch of a new website for the company, a specialist in e-procurement solutions for sectors including higher education, healthcare and government departments. Science Warehouse senior marketing manager, Victoria Winn, said: “Upp B2B drilled deep to gain a thorough understanding of our customers and industry, as well as our solutions offering and business culture. Upp B2B, which formed following the recent merger of Marketecture and Clock Creative, has a staff of more than 30 and a turnover of just over £2m.